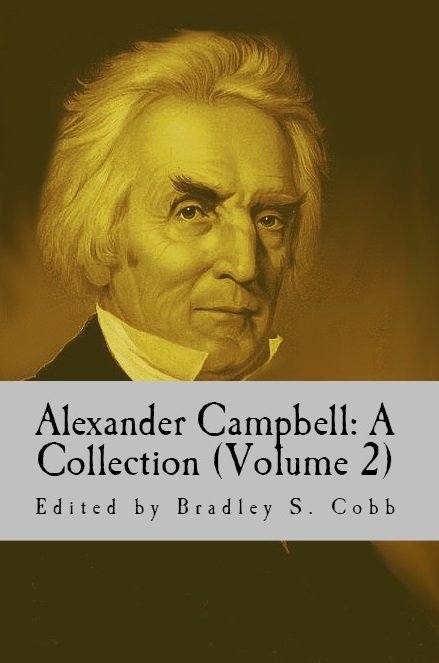 Because of the overwhelming popularity of the first collection, we are proud to present Alexander Campbell: A Collection (Volume 2). This 300+ page collection contains what is perhaps Campbell’s most well-known sermon, as well as his contribution to the American Bible Society’s New Testament translation. This short biography by W.L. Hayden describes the life and impact of Alexander Campbell, even showing how well he was respected by those who were considered his opponents. This sermon caused so much outrage among his Baptist brethren that many of them wanted him excommunicated for heresy. But cooler heads prevailed when they realized that not only was it logical, it was biblical too. What happens when you die? Is there life after death? Campbell tackles these questions and more. Is it scriptural or appropriate to use instruments to accompany our singing of songs of worship? Campbell weighs in. An issue that has troubled many Christians through the years: is it right for someone to be put to death for breaking the law? Great thinkers and great Christians have come down on both sides of this issue. As always, Campbell goes to the Bible for the answer. What good does confession do? Is there any real need for it? Have you ever wished there was a succinct overview of the plan of the Bible, and how all the books fit together? Your wish is fulfilled! Is the Bible Inspired? How can we know that the Bible is God’s revelation to mankind? This short work helps to understand the answer to the question. It’s one thing to read the Bible, it’s completely another thing to understand it. It is important to recognize that God has given us some principles to use in interpreting His word. Campbell shares some short thoughts on Jesus Christ. At the request of the American Bible Society, Alexander Campbell translated the fifth book of the New Testament from the Greek. His entire translation is included here.